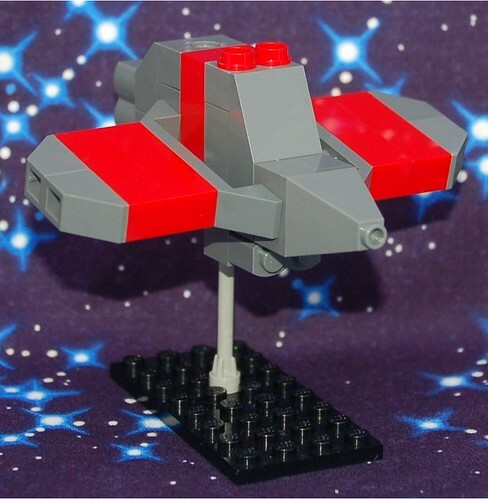 I made a fleet of starships ages ago, prior to the days of Alpha Bandit, that I really like. I've decided to rework some of them to fit Intercept Orbit. 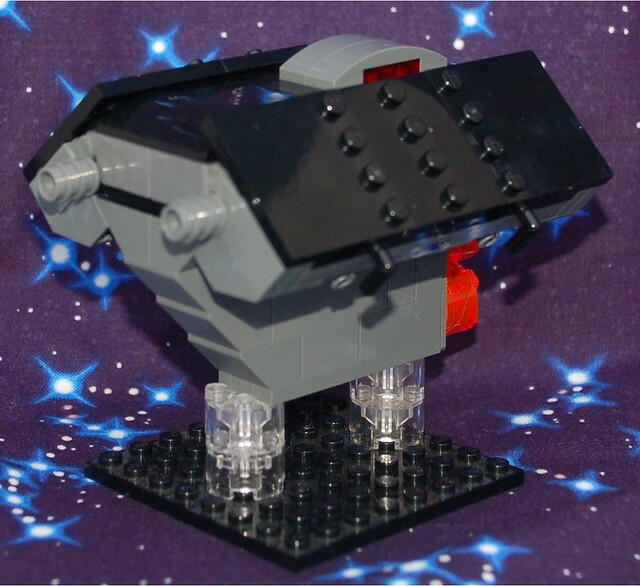 Deaths Head Destroyer, mk.2, on Flickr. I kid. I am actually really liking the simple, yet "heavy" and grim feel of that ship. Ced23Ric wrote: I kid. 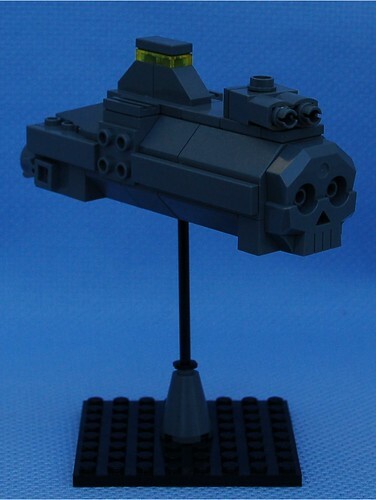 I am actually really liking the simple, yet "heavy" and grim feel of that ship. Thanks. 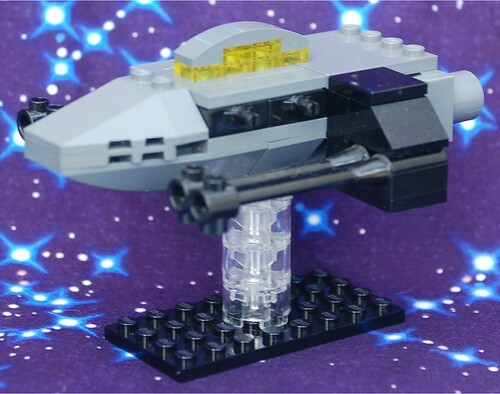 Now I have to revise the others, or make new ships to fill out the rest of the fleet. Where on earth did you find that skull piece? That's so cool. NPU right there. FragsturBait wrote: Where on earth did you find that skull piece? It comes in a couple of sets. FragsturBait wrote: That's so cool. NPU right there. Heh-heh. Nice use of the skull! This is the HVA for the fleet. schoon wrote: Heh-heh. Nice use of the skull! Dark Bley Carrier, on Flickr. I'm thinking 2Rs+d8/2K/2W or 2K/2B/2W for stats. A new Frigate for my 3rd fleet. 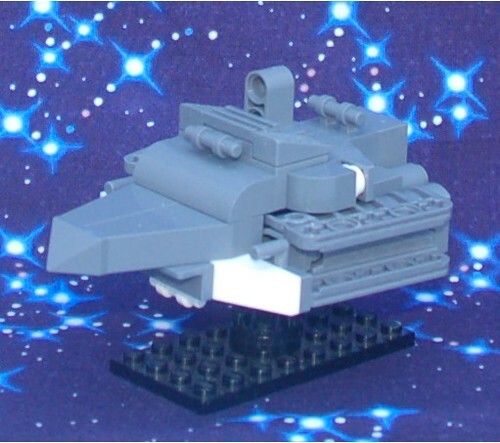 A new IO frigate design that fits in with my 3rd Fleet.